2017 Foreword INDIES Book of the Year Gold Award in Education for Beyond Testing: 7 Assessments of Students and Schools More Effective than Standardized Tests. Presented by Foreword Reviews Magazine. Jackie Kirk Outstanding Book Award (finalist) for International Struggles for Critical Democratic Education. Presented by the Comparative International Education Society, 2014. Critics’ Choice Book Award for International Struggles for Critical Democratic Education, 2013. Presented by the American Educational Studies Association. Outstanding Book Award (finalist) for Democratic Education in Practice: Inside the Mission Hill School. Presented by AERA’s Qualitative Research Special Interest Group, 2013. Noteworthy Book for Democratic Education in Practice: Inside the Mission Hill School. Presented by District Administration magazine, 2013. National Science Foundation Grant in the amount of $297,715 for the project “Building Capacity for Interdisciplinary Quantitative Reasoning Instruction” along with Andrea Young, Mckenzie Lamb, Steven Martin and Soren Hauge, 2018. Fulbright-Nehru Specialist Grant awarded to travel to and teach in India, at Delhi University, in January of 2019, in relation to the book International Struggles for Critical Democratic Education. UW-Stout Center for Study of Institutions and Innovation (CSII) Faculty Research Stipend, awarded in the amount of $5000 for project entitled “How does ballot information affect voter turnout among young adults?” 2018. Alumni Research and Scholarly Activity Fellowship (ARSAF), awarded in the amount of $1785 for project entitled “Educating for Action: Engaged Citizenry” with co-principal investigator, Lisa Kretz. University of Evansville, 2015. 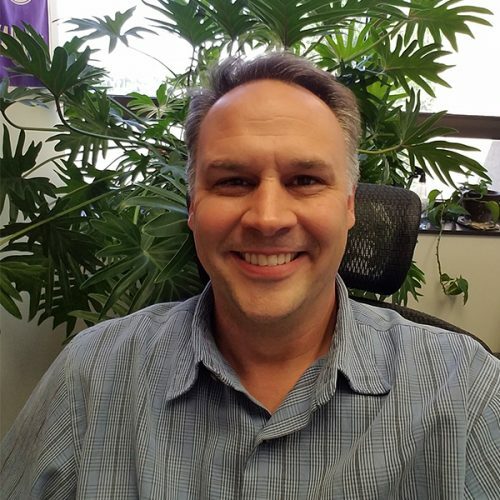 John H. Schroeder Faculty Development Grant, awarded after competitive review process, for expenses associated with presenting a paper and attending the annual meeting of the American Educational Research Association. University of Evansville, 2014. Principal Investigator (PI) for research grant proposal entitled “How Do Pre- Service Teachers Experience a Multicultural Education Course Taught as Either a Study Abroad Course in Trinidad or in a Classroom in Southern Indiana?” Submitted to the Spencer Foundation requesting $45,930. (not funded), 2014. Global Scholarship, awarded in the amount of $5,000, plus one course release, following a competitive review process. Awarded for the purpose of traveling to Finland to study Finnish education in the fall of 2013. 2013. Alumni Research and Scholarly Activity Fellowship (ARSAF), awarded in the amount of $3,525.00 to support research program entitled “First-Generation College Graduates and the Literacies and Discourses Needed for Academic Success” with co-principal investigator Dr. Mari Plikuhn, University of Evansville, 2011. Arts, Research and Teaching (ART) Grant, awarded in the amount of $1,800.00 to support research program entitled “First-Generation College Graduates and the Literacies and Discourses Needed for Academic Success” with co-principal investigator Mari Plikuhn, University of Evansville, 2011. Theodore R. Sizer Dissertation Scholar, grant awarded in the amount of $3,500.00 to support dissertation work, awarded by the Coalition of Essential Schools, 2009. Graduate Student Mentor Award, awarded by fellow University of Wisconsin- Madison graduate students, 2009. University of Wisconsin-Madison Department of Curriculum and Instruction Travel Grant , awarded in the amount of $500.00 to graduate students selected to present at an academic conference, 2008. Meier, D. & Knoester, M. Beyond testing: Seven assessments of students and schools more effective than standardized tests. New York, NY: Teachers College Press, 2017. Democratic education in practice: Inside the Mission Hill School. New York, NY: Teachers College Press, 2012. Meier, D.; Knoester, M. & D’Andrea, K. C. (Eds.). Teaching in themes: An approach to schoolwide learning, creating community, and differentiating instruction. New York, NY: Teachers College Press, 2015. Knoester, M. & Kretz, L. Why do young adults vote at low rates? Implications for education. Social Studies Research and Practice, 12(2), 1-14. DOI: 10.1108/SSRP-04-2017-0013, 2017. Knoester, M. & Parkison, P. Seeing like a state: How educational policy misreads what is important in schools. Educational Studies, 53(3), 247-262. DOI: 10.1080/00131946.2017.1297302, 2017. Common Core State Standards? Critical Education, 6(22), 1-16, 2015. Knoester, M. & Plikuhn, M. Influence of siblings on out-of-school reading practices. Journal of Research in Reading, 39(4), 469-485. DOI: 10.1111/1467- 9817.12059, 2015. Is the outcry for more pilot schools warranted? Democracy, collective bargaining, deregulation, and the politics of school reform in Boston. Educational Policy, 25(3), 387-423, 2011. Independent reading and the ‘social turn’: How adolescent reading habits and motivation may be related to cultivating social relationships. Networks: An Online Journal for Teacher Research, 12(1), 1-13, 2010. Inquiry into urban adolescent independent reading habits: Can Gee’s theory of Discourses provide insight? Journal of Adolescent & Adult Literacy, 52(8), 676- 85, 2009. Learning to describe, describing to understand. Schools: Studies in Education, 5(1), 146-55, 2008. War in Colombia. Social Justice: Crime, Conflict, and World Order, 25(2), 85- 109, 1998. Knoester, M. & Gichiru, W. P. Education for democracy at the university level. Journal of International Social Studies, 4(1), 115-118, 2014. Plikuhn, M. & Knoester, M. A foot in two worlds: First-generation college graduates, academic success, and family relationships. In Stich, A. & Freie, C. (Eds.). The working classes and higher education: Inequality of access, opportunity and income (pp. 174-194). New York, NY: Routledge, 2015. Knoester, M. & Yu, M. Teachers as cultural workers. In He, M. F.; Schultz, B. D. & Schubert, W. H., (Eds.) The SAGE guide to curriculum in education (pp. 190-197). Thousand Oaks, CA: Sage, 2015. Meier, D.; Knoester, M. & D’Andrea, K. C. Introduction. In Meier, D.; Knoester, M. & D’Andrea, K. C. (Eds.). Teaching in themes: An approach to schoolwide learning, creating community, and differentiating instruction (pp. 1-8). New York, NY: Teachers College Press, 2015. Meier, D.; Knoester, M. & D’Andrea, K. C. Conclusion. In Meier, D.; Knoester, M. & D’Andrea, K. C. (Eds.). Teaching in themes: An approach to schoolwide learning, creating community, and differentiating instruction (142-148). New York, NY: Teachers College Press, 2015. Introduction. In Knoester, M. (Ed.). International struggles for critical democratic education (pp. 1-7). New York: Peter Lang, 2012. Critical multicultural education in Boston. In Knoester, M. (Ed.). International struggles for critical democratic education (pp. 69-87). New York: Peter Lang, 2012. Crowley, C. & Knoester, M. Public higher education under attack in the United States. In Knoester, M. (Ed.). International struggles for critical democratic education (pp. 111-130). New York: Peter Lang, 2012. Elected to 3-year term as Secretary/Treasurer of AERA Special Interest Group (SIG) Democratic Citizenship on Education, 2018-2021. National Board for Professional Teaching Standards certified for middle childhood education. “If Not Standardized Testing, Then What?” Annual Meeting of the American Educational Research Association (AERA). New York, NY, 2018. “Beyond Testing Book Launch.” Annual Meeting of the Comparative International Education Society (CIES). Mexico City, Mexico, 2018. “Independent Reading Development Among First-Generation University Graduates.” Annual Meeting of the Literacy Research Association (LRA). Tampa, FL, 2017. “Standardized Testing and School Segregation.” Annual Meeting of the American Educational Studies Association (AESA). Pittsburgh, PA, 2017. “Critical Democratic Education in Boston.” XVI World Congress of Comparative Education Societies. Beijing, China, 2016. Knoester, M. & Au, W. “Standardized Testing and School Segregation: Like Tinder for Fire?” Annual Meeting of the American Educational Research Association (AERA). Washington, D.C., 2016. “Astronomical Inquiries.” Annual Meeting of the American Educational Research Association (AERA). Washington, D.C., 2016. “Effects of Siblings on Literacy Development.” Annual Meeting of the Literacy Research Association (LRA). Carlsbad, CA, 2015. "Schoolwide Thematic Teaching.” Annual Meeting of the New England Philosophy of Education Society (NEPES). New Britain, CT, 2015. Knoester, M. & Gichiru, W. “Teaching the Glocal in Teacher Education.” Annual Meeting of the Comparative International Education Society (CIES). Washington, D.C, 2015. “Where is Citizenship Education in the Age of Common Core State Standards?” Annual Meeting of the New England Philosophy of Education Society (NEPES). New Britain, CT, 2014. Knoester, M. & Gichiru, W. “Critical Reflections on Two International and Comparative Courses in Teacher Education.” Annual Meeting of the New England Philosophy of Education Society (NEPES). New Britain, CT, 2014. Knoester, M. & Plikuhn, M. “Effects of Siblings on the Literacy Development of First-Generation College Graduates.” Annual Meeting of the American Educational Research Association (AERA). Philadelphia, PA, 2014. Knoester, M. & Plikuhn, M. “Social Aspects of Literacy Development in the Lives of First-Generation College Graduates.” Annual Meeting of the American Sociological Association (ASA). New York, NY, 2013. Knoester, M. & Plikuhn, M. "Inquiry into the Childhood Literacy Development of First-Generation College Graduates." Annual Meeting of the American Educational Research Association (AERA). San Francisco, CA, 2013. "Critical Multicultural Education in Boston." Annual Meeting of the American Educational Research Association (AERA). San Francisco, CA, 2013. “International Struggles for Critical Democratic Education.” Annual Meeting of the Comparative and International Education Society (CIES). New Orleans, LA, 2013. “International Struggles for Democratic Education.” Andiron Lecture. University of Evansville, 2013. Knoester, M. & Plikuhn, M. “First-Generation College Graduates and the Literacies and Discourses Needed for Academic Success.” Annual Meeting of the American Educational Research Association (AERA). Vancouver, BC, 2012. “Professional Development at the Mission Hill School.” Annual Meeting of the American Educational Research Association (AERA). New Orleans, LA, 2011. “Inside the Mission Hill School: Democratic Education in Practice.” Fall Forum of the Coalition of Essential Schools (CES). San Francisco, CA, 2010. “Democratic Involvement and Decision-Making at the Mission Hill School.” Annual Meeting of the American Educational Research Association (AERA). Denver, CO, 2010. “Inquiry into the Social Aspects of ‘Independent’ Reading and Motivation.” Annual Meeting of the American Educational Research Association (AERA). San Diego, CA, 2009. “When Urban Adolescents Choose to Read.” Annual Meeting of the American Educational Research Association (AERA). New York, NY, 2008. “Teacher Unions and Democratic Education.” Annual Meeting of the American Educational Research Association (AERA). New York, NY, 2008. Knoester, M., Williams, J., & Clunis, K. “Parental involvement and participation at Mission Hill School.” Fall Forum of the Coalition of Essential Schools (CES). Columbus, OH, 2004. Knoester, M., & Rachko, J. “The Recollections Project at Mission Hill School.” Pilot School Teacher Share. Boston, MA, 2004. Knoester, M., & Clunis, K. “Peer Review at Mission Hill School.” Fall Forum of the Coalition of Essential Schools (CES). San Francisco, CA, 2003.